Glutathione is an antioxidant formed from the amino acid cysteine, glutamate and glycine. Virtually all your cells have glutathione, but this antioxidant is most highly concentrated in your liver, pancreas, spleen and eyes. Your glutathione levels dwindle as you age. Taking glutathione supplements may offset the reduced glutathione levels caused by age. 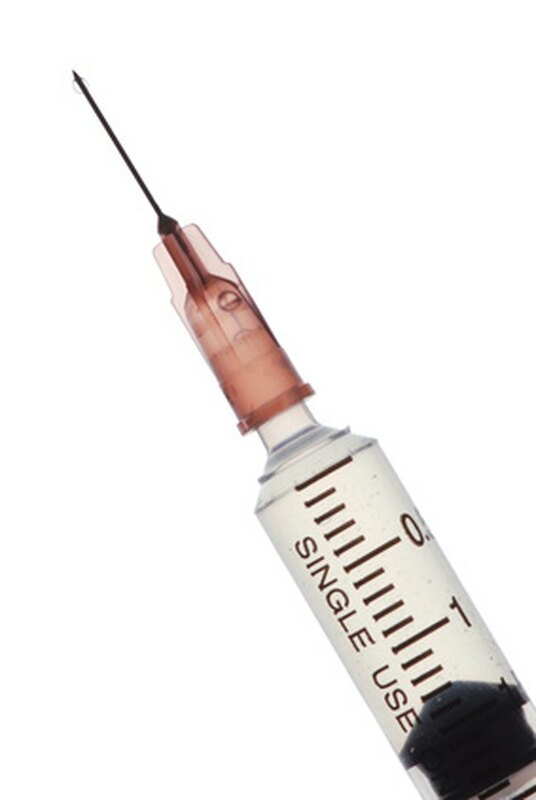 Glutathione supplements may be administered intravenously. You can also take glutathione supplements in oral form or via nebulizer. No known side effects are associated with injections of glutathione. Glutathione is primarily responsible for reducing the levels of cysteine on the surface of proteins and helps protect your body from free-radical damage. Glutathione also helps synthesize and repair DNA. Glutathione facilitates the recycling of vitamins C and E. Intravenous glutathione impairs platinum buildup in your kidneys. It helps transport amino acids and plays a vital role in purging your body of toxic compounds such as heavy metals. By helping your body detoxify, glutathione helps reduce your risk of developing cancer. Glutathione is able to fight cancer by causing malignant cells to die but keeping healthy cells alive. This antioxidant also slows your body's aging process. Your body may develop coordination problems as a result of glutathione deficiency. Deficient glutathione levels can cause red blood cells to rupture and impair the functioning of white blood cells. Your nerve tissue may deteriorate as a result of glutathione deficiency, and you may suffer mental and nervous system disorders such as tremors and twitching. The standard dose of intravenous glutathione is 1400 mg mixed with a sterile saline solution for patients being treated for Parkinson's disease, according to Dr. David Perlmutter, who pioneered glutathione therapy. This dose of glutathione is given intravenously over the course of 10 minutes three times weekly. Patients undergoing chemotherapy receive 3 g of intravenous glutathione prior to chemotherapy. Glutathione, by itself, has no reported side effects. However, intravenous glutathione may interact with certain drugs used for chemotherapy. Glutathione lowers the neurological and renal toxicity of the chemotherapy drug cisplatin. Combining glutathione with other chemotherapy drugs such as cyclophosphamide and bleomycin reduces their harmful side effects. Moreover, glutathione may even enhance the healing effects of these chemotherapy medications. Intravenous glutathione is administered just before the chemotherapy session begins.